Senses ambient light and reduces annoying glare. 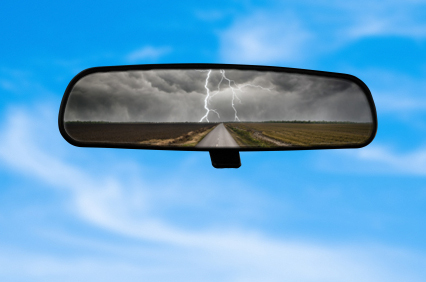 Looking to replace your original rear view mirror? We have a huge selection here at Auto Barn of all sorts of mirrors. 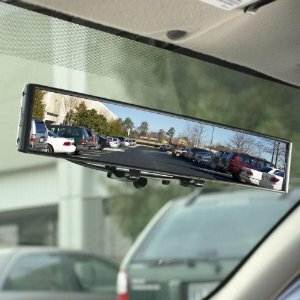 If you're looking to upgrade your mirror from your factory rear view, we offer larger convex mirrors for an incredibly wide, all-around panoramic view. We also carry mirrors with built-in GPS navigation systems, for those looking for a true hi-tech upgrade. If you're simply looking to replace your original mirror, we sell plenty of standard rear view mirrors, some with the option of a unique design, such as flames or dragons. We also have remounting kits for mirrors that have broken or fallen off of the original mount.